Why Choose Get The Data? At Get the Data we work with organisations that want to demonstrate their impact on society definitively. Our cutting-edge services are underpinned by robust methods, rigorous analyses, and cost-effective data collection. Our flexible project management approach allows us to tailor our approach to fit your requirements. GtD was founded by Jack Cattell and Alan Mackie in 2012 and is meeting a growing demand from organisations to have regular analytics to manage their work. This demand has been given further impetus with a greater need to produce clear social impact data for funders and commissioners. We are committed to working with organisations to provide definitive evidence on their impact on society. Our clients work with some of the most vulnerable people in society, including at risk young people, refugees and the homeless. Whatever their goals, at GtD we share our clients’ drive to improve services and outcomes for these groups. After four successful years in London, we extended our social impact analytics service to the US. Together Jack and Alan have been delivering high quality social research and evaluation for nearly 40 years. Jack heads up our London team and leads the development of our cutting-edge social impact analytics and offender management analysis. Contact him if you wish to know more about our services and the benefits realised by our clients. As co-founder of GtD, Jack is a thought leader in the development of social impact analytics in the UK, particularly in its application to offender management. With a post-graduate degree in Statistics, Jack is highly skilled in the collection, collation and statistical analysis of quantitative data. He has directed impact studies for many high-profile clients, including the Police Forces, local government, Sodexo Justice Services, the Ministry of Justice, Her Majesty’s Prison and Probation Service and the National Health Service. He has also delivered evaluation work for charities and non-profits including Street Soccer Academy, Youth Impact, the Connection at St Martin’s and the Outward Bound Trust. 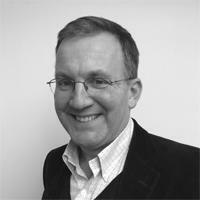 Prior to co-founding GtD, Jack was Senior Principal Researcher at Matrix Evidence Ltd. He is a member of the UK Evaluation Society and the Social Impact Analytics Society. Alan heads up our US practice and leads on the promotion of our services. Contact him if you wish to know more about how your organization can benefit from our social analyses, as well as details of our up-coming events. Alan has over 25 years’ experience of delivering social research and evaluation, principally in the areas of criminal and juvenile justice. He is currently directing an evaluation for the International Rescue Committee in Atlanta, as well as leading a study on how to measure the impact a public defender organization, Gideon’s Promise that is based in Georgia. He also serves on the board of Childkind Inc., a non-profit agency that supports medically fragile children in Atlanta and is chair of its planning committee. 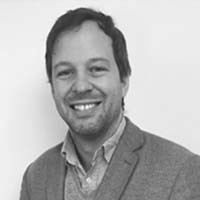 Alan was previously Head of Evaluation at Matrix Evidence Ltd, where he worked with Jack for four years, and prior to that he was a Partner at Morgan Harris Burrows LLP. Jay builds data collection and reporting systems and completes rigorous impact analysis. Contact him if you require any advice on data analysis. Jay joined our social impact analytics team in the summer of 2016. Based in our London office, Jay has a BSc in Mathematics and Statistics from the Open University and is a member of the Royal Statistical Society. With a strong background in both mathematics and management, Jay is responsible for developing our cutting-edge SIA practice and is currently leading on our analytic work with a number of police forces in England & Wales. 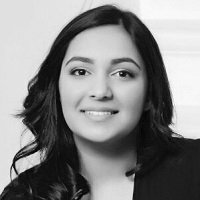 Since November 2018, Iqqra has been working as an analyst in our Social Impact Analytics team, working with clients such as Sodexo Justice Services. Iqqra has been and helping clients identify how they are improving the quality of life of those under their supervision and care through their interventions. Prior to that Iqqra started working with Get the Data as an Intern in June 2016 where she assisted us with all aspects of our service provision. In particular, she utilised her maths and data skills to support our work in providing analyses of social impact for our clients. Alongside her internship, she was completing an undergraduate degree in Mathematics (BSC Honours) at Birkbeck University. Sarah leads our qualitative research practice. Contact her if you wish to know more about how we achieve and deliver rigorous results to clients. With a background in psychology, Sarah has over 20 years’ experience in social research and evaluation including criminal justice, substance misuse and education and health. She has also conducted work within mental health and counselling settings. 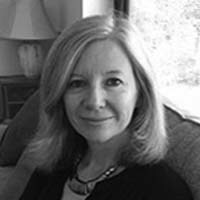 With her extensive experience of project management, Sarah is well versed in all aspects of research design, execution and report writing. Sarah has completed a number of significant projects for central government departments, local authorities, and national voluntary and umbrella organisations. 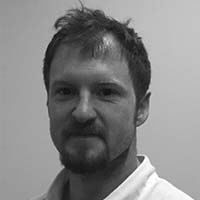 Simon has over 15 years of market research experience, he is an expert at Excel, Access databases, tabulation software and automated reporting. Simon creates reporting tools for GtD clients that provide insight into their data. He is also a Microsoft Power BI and DAX consultant, bringing data to life through the use of powerful interactive data visualisations and dashboards. 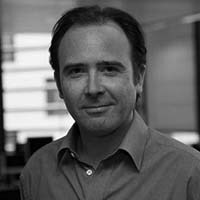 His past experience covers social research, brand tracking, finance, social media and advertising research, having worked on a variety of projects ranging from bespoke research solutions to large scale multi-country studies. Natalie manages our marketing plans and activities. Natalie is a marketing professional who has been working with us since mid-2015. 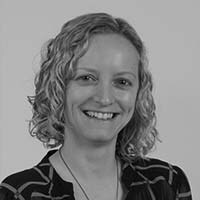 Alongside managing our marketing activities, Natalie, who has 15 years’ experience, also provides marketing consultancy and support on a freelance basis to other businesses via her own company, Base North Marketing. Prior to working freelance, Natalie honed her marketing skills working in the retail industry. She is a member of the CIM and holds a Post Graduate Diploma in Marketing.